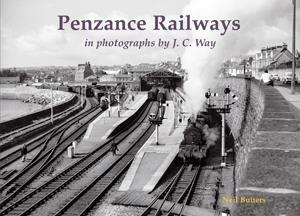 The railways in and around Penzance feature in this second collection of the photographs of J.C. Way compiled by railway enthusiast Neil Butters. Born in Penzance in 1921, John Way and his brother Peter lived very close to Penzance Station and as a result became interested in trains. From recording information in notebooks John graduated to a camera. The photos date from the 1935-38 period and then from the 1953-59 period. This is primarily a photographic collection with brief annotated captions.